Old Port Historic District. Photo credit: Maine Office of Tourism. 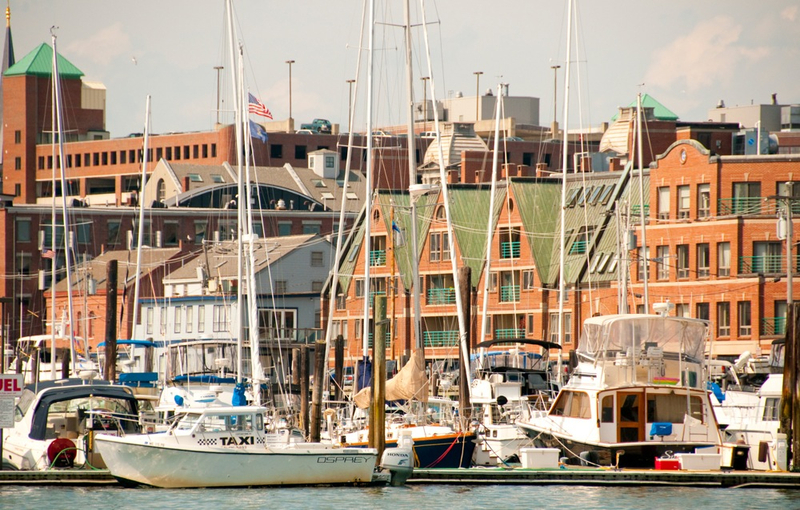 Taking a walk through the Old Port Historic District in Portland, Maine, reveals everything wonderful one would expect in a historic, urban waterfront district. 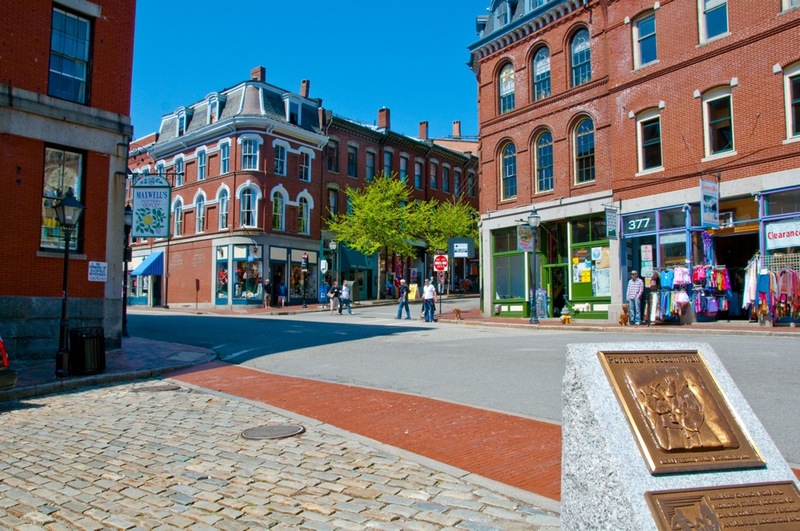 The cobblestone streets, mix of 19th century brick architecture, fishing piers and hilly streets leading to the water create an authentic port atmosphere while shops, boutiques, galleries, restaurants and bars lend travel appeal that ranks amongst the best in New England. From an early morning walk through the quaint streets to experiencing the vibrant nightlife, the Old Port combines a small town feel with elements of a world class city. The location on the southeast side of the Portland peninsula, overlooking the wide mouth of the Fore River, makes for a cozy, scenic and charming oasis that feels like one's own discovery. Thank goodness visionaries revived a deteriorating Old Port neighborhood in the 1970s by preventing demolition of historic buildings, and then restoring them for commercial and residential use. One of the most amazing "before and after" scenes ever to take place in New England, the Old Port District's beautiful warehouse district transformation is the urban revitalization equivalent of a beautiful piece of art. I personally remember what the Old Port Exchange looked like in the late 60s when my mom would sell her art down the street on Congress St. at the WCSH-TV Art Show. The Old Port wasn't a pretty picture -- rather sketchy to be perfectly blunt -- and my dad smartly kept us away from that area and focused on kid things like ice cream (anyone remember Deering's?). When I returned to the Old Port with friends in my late 20s, I did a double-take seeing something unrecognizable in the very best sense. The Old Port possesses a charming, thriving vibe. Photo credit: Maine Office of Tourism. Much of the Old Port Historic District has the highly esteemed National Register of Historic Places designation, but it goes far beyond just a "designation." Today's Old Port has become the heart of an overall great city -- a blessing for locals and a must-see for any New England travelers. The curb appeal would make any HGTV host or hostess take up permanent residence. The ultimate anti-cookie cutter shopping and dining district, the Old Port thrives on, and is packed with locally-owned, unique stores and well-known but high quality regional places like Stonewall Kitchen . Colorful signs, even more colorful business owners and skilled street musicians (with the exception of a few) make the gas lamp-lit Old Port Exchange feel like a destination not only historic but with plenty to see and do. 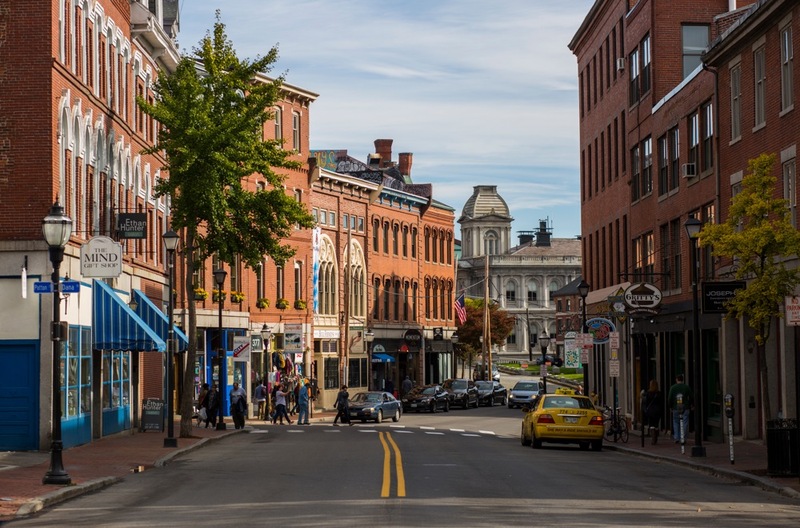 Additionally, the Arts District is just a few blocks from the waterfront and includes the Portland Museum of Art, Children's Museum and Theater of Maine, State Theater, Portland Stage Company and Maine Historical Society. One of the District's great annual events: the Old Port Festival that takes place in June with its outdoor celebration of music, art, and community. Because the city is so compact, many Portland hotels are within walking distance of the Old Port. I found the Holiday Inn Portland by the Bay to be a great choice with a very nice room, panoramic views of Portland Harbor and the skyline, an indoor pool and restaurant that serving seafood as good as the many of the standalone restaurants. New England features so many revived, worth-a-visit small and medium-sized city historic waterfront neighborhoods, including those in Portsmouth, N.H., Gloucester, Mass., Newburyport, Mass., and New Bedford, Mass. None of those neighborhoods rival the charm and appeal of the Old Port Exchange, in my opinion. Therefore, I highly recommend starting your historic city waterfront New England vacation or day trip at the Old Port! 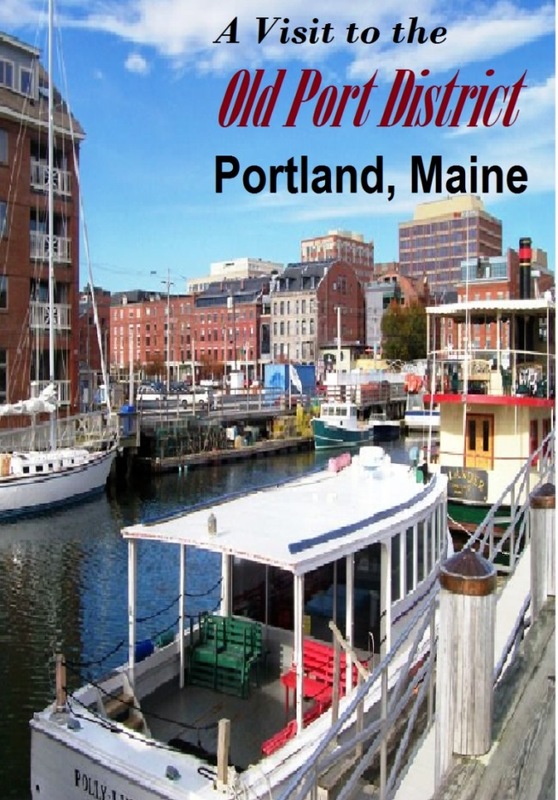 For more information on the Old Port, log onto the downtown Portland page. Portland waterfront. Photo credit: Maine Office of Tourism. Discovering the Whaling District in New Bedford, Mass. Show some love for this story on the Old Port District by sharing the graphic below on Pinterest!